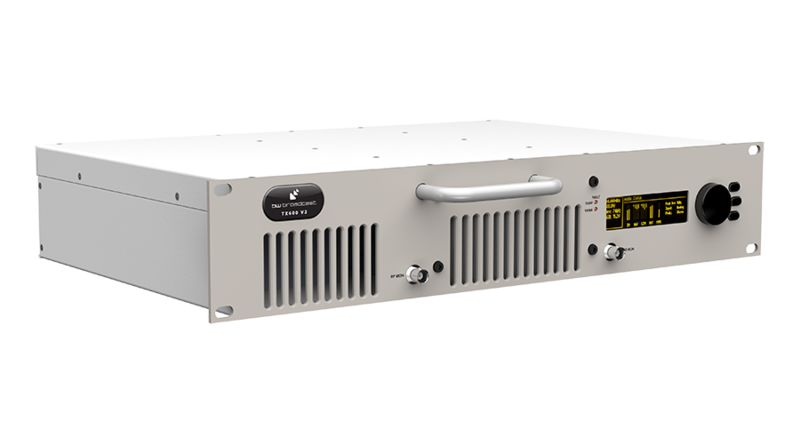 The new V3 Transmitter range now comes with the latest Direct to Channel Digital Modulation. This 1000W, 2RU FM transmitter is the perfect piece of equipment for you. Built in 4-band DSP audio processing, Ethernet control, RDS Encoder and FSK IDer, GPS inputs for SFN applications, Hot swap PSU and a whole lot more. Now with a DDS exciter, the TX1000 V3 takes the legendary and clean exciters of earlier models with it’s ultra-low distortion modulator to a new level.The TX1000 V3 has an integrated multi-band DSPX audio processor that means stations without a dedicated processor sound great, right out of the box. 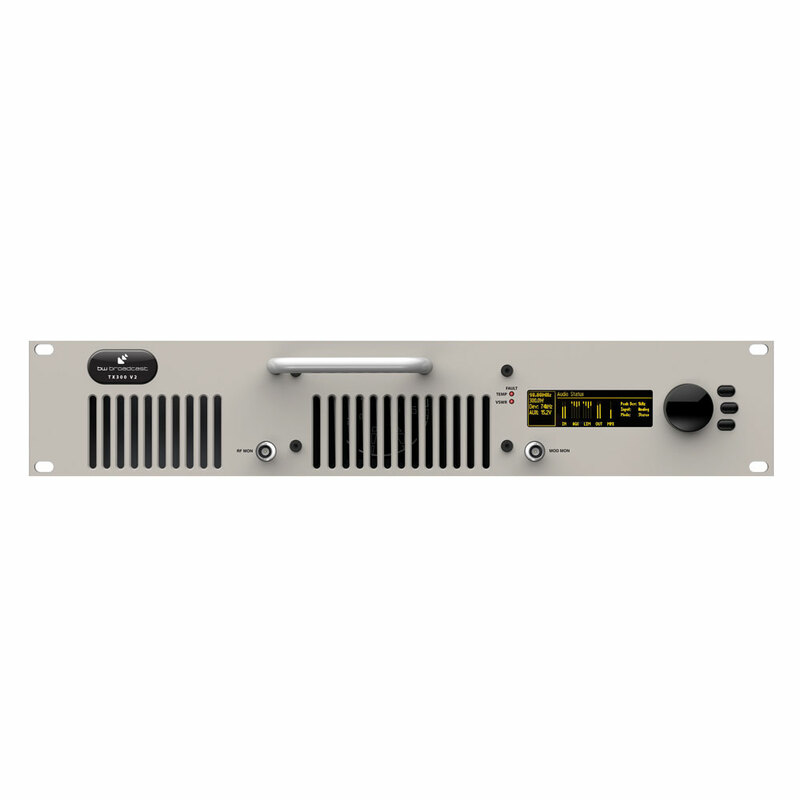 This market leading DSP based multi-channel audio processor has been designed to give you a major market signature sound on a budget. With both four band program dependent limiting and wide band AGC with intelligent gating, parametric EQ and shelf bass enhancement, multi band distortion controlled clipper and a powerful composite clipper with pilot protection. All this allows you to tailor your sound for maximum impact. 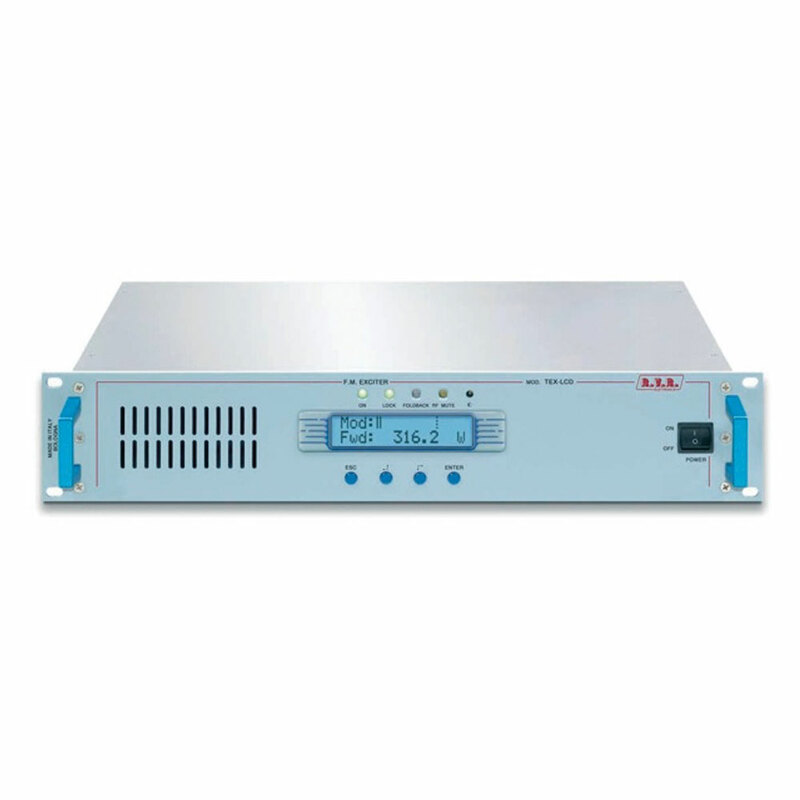 Integrated ITU-R 812 MPX power limiter ensures you meet modulation regulations. For years, our transmitters have been the most intelligent on the market with standard Ethernet Remote Control. Featuring a built-in web browser, with no software to install and no reliance on flash support, the V3 platform gives you easy access to setup and monitoring such as Email Alerts, SNMP monitoring, Silence Detection, Advanced Alarms. The unit will email you if it has a problem, and keep a log of any issues to be investigated. You can also adjust settings remotely if required. All these features are designed to give you peace of mind and save you time. A standard, configurable parallel GPI/O interface is provided for interfacing to your station remote control equipment. This will alert you to issues and offer solutions to keep you on air. For example, it can be configured to switch on back-up audio or back-up transmitters should it detect a problem. All V3 products have inputs and outputs you would come to expect of with a premium Transmitter. Featuring AES3 audio or composite/ MPX over AES192, analog left and right, and 2 configurable composite (MPX) program inputs and outputs. Composite inputs and outputs can be configured as MPX, SCA, RDS or Pilot Sync. Integrated Dynamic RDS is now standard on-board. Listeners now expect to see RDS data on their radios featuring full station, music and advertising related information. The V3 platform includes a powerful dynamic RDS system allowing you to maximize the impact, and deliver value for your advertisers from a single box solution. 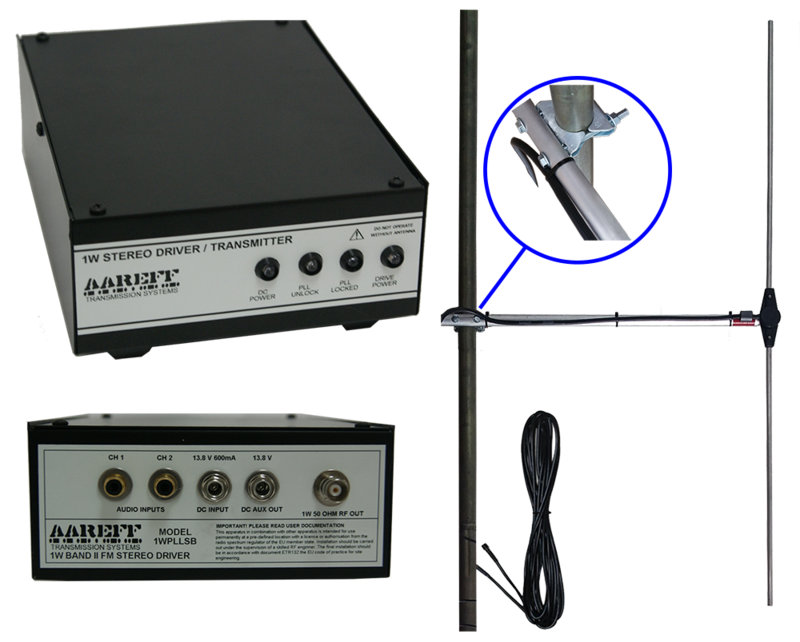 External reference support for both 1pps and 10MHz GPS sync inputs are at the rear of the unit, letting you integrate with other products for an SFN (single frequency network) environment. Hot-pluggable, simple to replace switch-mode power supplies have an extremely wide AC input range and 96% AC­DC efficiency. Combining rocksolid reliability, performance and simple maintenance to keep you on the air.